“Super Mario 3D Land” is the newest addition to the most famous video game series of all time. Since his original appearance on Nintendo’s first home console, Mario has done it all. He’s competed in the Olympics, dodged barrels from a gorilla named Donkey, had his own Saturday morning cartoon, collected a ton of those elusive gold coins and, of course, saved Princess Peach more times than there are days in the year. 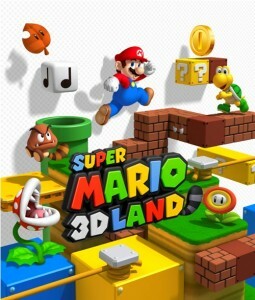 “3D Land” released on Nov. 13 exclusively for the Nintendo 3DS. The game starts off like every other Mario game with Princess Peach captured by Mario’s seemingly invincible nemesis Bowser. Like all Mario games of the past this one starts out fairly tame and easy and works its way to the harder levels. There are eight worlds in “3D Land” each with anywhere from five to eight levels, including the ever popular boss battles. A throwback to “Super Mario Bros. 3,” the non-Bowser boss fights—which occur in the last level on all the worlds except for worlds one, six, and eight where you’ll face Bowser—take place after the player works his or her way through a flying pirate ship. Three stomps on the head of the boss and it’s on to the next world. Along the way players will need to collect three-star medals per level which are the giant coins that debuted in “Super Mario Galaxy 2” for the Wii. Similar to “Galaxy 2,” these star medals are needed to move on to certain levels. All of the gameplay and lovable enemies and obstacles are back in “3D Land” including the return of another fan-favorite from “Mario 3,” the Tanooki Suit which works very well and is a ton of fun to use. Making its debut is a new suit that allows Mario to throw boomerangs. This is a great addition to the series as it also allows the player to grab hard-to-reach objects like the star medals and coins. There is also another power up that turns Mario into a box with a propeller on top, which allows the player to jump higher and to glide from platform to platform. The best part about this new power up is that players can still use the Tanooki tail while using the propeller box. Unfortunately, all of the flaws of the Mario games are present in this title. The “A” button sometimes seems unresponsive as a jump attempt can lead to walking to certain death off the side of a cliff. The 3DS’s directional nub can be a bit loose at times, sending Mario in an undesired direction. It would have been nice to have the option to simply use the directional pad. There is also the classic Mario issue of camera angle awkwardness and because Nintendo aimed for the 3-D effect in the levels, the perspective is difficult to handle at times. The biggest issue with the game is one that has plagued many of the Mario titles, which is that the difficulty ramps up far too quickly at a certain point in the game. The Bowser battles and all of the levels in the second half of “3D Land” are some of the hardest yet and can be very frustrating. Nintendo did include a couple of special power-ups to help players through the harder parts of the game. There is a special Tanooki suit which renders players invincible and if that doesn’t work, there is a warp power up which sends players right to the end of the level. These become available after a certain number of deaths on the same level and are definitely a welcomed addition. However, it would be better if they just balanced the difficulty so it didn’t feel like players have to cheat to win. Nintendo has a rich history of using its systems to the fullest and “3D Land” is no exception. The 3-D effect works very well in this title. There are secret rooms accessed by the legendary green pipes that are perspective-based puzzles and require the 3-D effect to be able to figure out what boxes to jump on to get the star medal. There are also a few levels that the 3-D effect definitely helps on but for the most part the 3-D just feels like a gimmick and doesn’t add much to the gameplay. Overall, “3D Land” is a ton of fun and it’s definitely a great game full of familiar faces, objects and obstacles, along with a lot of new, innovative gameplay. Whether it’s good enough to warrant the purchase of a copy of the game along with a 3DS is undoubtedly a question of how big a Mario fan players consider themselves. Unlike must-play titles like “New Super Mario Bros. Wii” and “Super Mario Galaxy 2,” “Super Mario 3D Land” is a bittersweet experience that honestly should be passed up by the average gamer. This entry was posted in Arts & Entertainment, Game Reviews, Sac City Express (SCC) and tagged 3d, bros., college, exclusive, gamer, gamers, handheld, land, luigi, mario, nintendo, review, sacramento, video games. Bookmark the permalink.